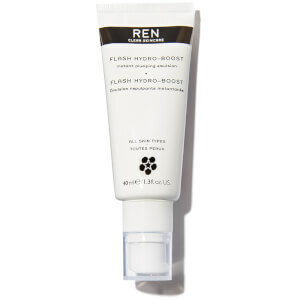 The REN Perfect Canvas Serum is a unique treatment that serves as a primer to promote a refined, supple complexion. Fortified with bio-actives and natural extracts, the lightweight formula rapidly absorbs into skin to create an instant filling effect that smoothes the appearance of imperfections including fine lines and uneven textures. It leaves the complexion with a soft matte finish – the perfect base from which to apply makeup for truly flawless looking results. Use after moisturiser. Apply a few drops on to your fingers and gently massage over the face until fully absorbed. Aqua (Water), Lactococcus Ferment Lysate, Glycerin, Maltose, Caprylyl/Capryl Glucoside, Alpha-Glucan Oligosaccharide, Agave Tequilana Leaf Extract, Xanthan Gum, Parfum*, (Fragrance), Sodium Hyaluronate, Sodium Benzoate, Phenoxyethanol, Citric Acid, Lactic Acid, Sodium Chloride, Glucose, Limonene, Linalool.